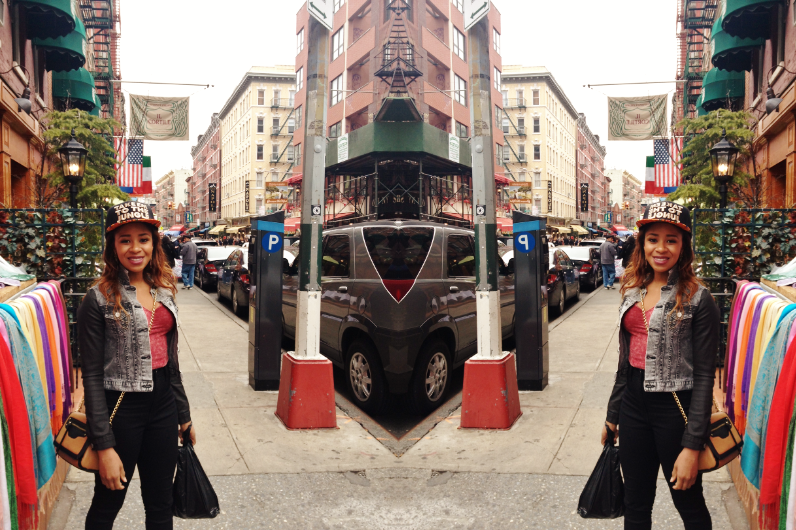 One of my favorite parts of New York is Little Italy. It's so quaint and pretty and the dining there is phenomenal. Usually when I'm in New York, I tend to stay in the Brooklyn area and I never really venture out. This trip was different. Since I was with friends from California, who had never been to NYC, I obviously wanted to explore the whole city with them and experience some of what NYC tourism has to offer. After a bit of walking around and sightseeing, we stopped to eat at this restaurant Giovanna's. It's a little Italian restaurant (obviously) and at first, my friends and I were a little skeptical ... but it turned out to be the best decision. I LOVED the food. I ordered the Chicken Francese and it was amazing. My friends and I also swapped dishes, so that we could all experience every meal. The Gnocci was my favorite and there was also a pesto pasta that was divine! The portion wasn't too big, as we went for the lunch special, yet it was still enough to satisfy. If ever you're in Little Italy, I would definitely recommend this place. After lunch, we went for dessert at another spot, only a few blocks away called Cafe Palermo. They are best known for their cannolis (an Italian/Sicilian dessert in the shape of a little tube, filled with a sweet cream). I ordered one cannoli and a cappuccino. The dessert was really good, but I was most impressed with the cappuccino. If you know me, then you know that I love coffee and I especially love when the person making my coffee does so EXACTLY how I want it. Overall, I was pretty impressed with Cafe Palermo. I like the outfit you are wearing! wish I stopped by little italy while I was in NYC! Hey! Thank you. I actually wore the same jean jacket for most of the trip lol so this wont be its last appearance on the blog ! But yes, definitely go there next time you are in NYC. I love it there.